Written by Ron Mullins for the Supply Post Newspaper. Start your engines… this iconic racing command, issued at the beginning of most motorsport events, will soon ring out loud and clear across the hills, valleys and vineyards of the south Okanagan Valley. It will herald the beginning of local, national and international motorsport events at Area 27. What is Area 27 You Ask?. Area 27 is Canada’s newest, most exciting and extremely picturesque motorsport circuit located just a few kilometres south of Oliver, British Columbia. Oliver is a small Okanagan Valley town parked along Highway 97, south of Penticton, north of Osoyoos, and just a few kilometres from the United States border. The town boasts a rich and storied history and today is known as Canada’s Wine Capital. Soon it will also be known as Canada’s Motorsports Capital. Phase one of Area 27’s build-out will feature at 3 mile (4.9 km) road course designed by Formula One World Driving Champion and Canadian racing legend Jacques Villeneuve. Built to and certified as a Federation Internationale de l’Automobile (FIA) Category II circuit, Area 27 will be the longest road course track west of Ontario. With FIA Cat II certification, the track will be suitable for Indy Car as well as NASCAR racing events. It would also be capable of hosting Formula One testing. Why Area 27? Why here?. Now Drossos was faced with possibly his biggest challenge… money. It was going to take a bunch of money to build a professional road racing circuit and he knew it. The idea of large corporate sponsorships, sponsorships that had fuelled the motorsport industry in North America for decades, was changing… rather dramatically…and not in Bill’s favour. But the idea of membership-based or country club road racing circuits was catching on across the USA. So more meetings… and soon the idea of Area 27 as a membership-based, luxury motorsport park and racing academy started taking shape. Certainly Bill Drossos had the idea, the designer, the originating team and the promise of membership monies sufficient to get things started. The next big hurdle was construction. Who… to get to build it? Enter Canadian racing icon Trevor Seibert, who just happens to be the owner and president of B.C. 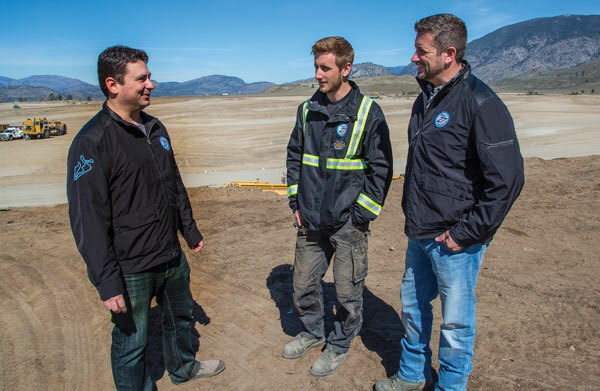 based Lake Excavating, one of Canada’s premier heavy construction companies. 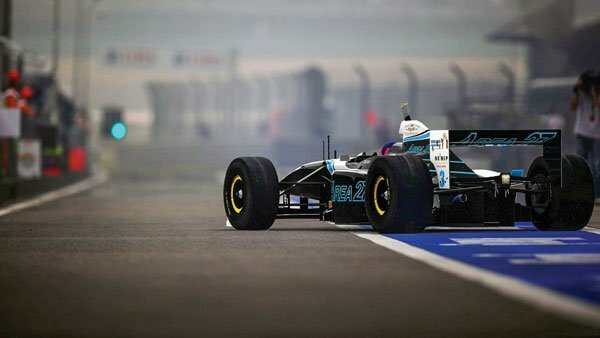 Although FIA standards are strict, they are very logical when you consider that both competitive-street vehicles and fully race-prepared cars will be using the Area 27 track. Track width are to be a minimum of twelve metres (40 feet), safety barriers between the cars and the people must be a minimum of one metre tall plus all the appropriate catch fences. This track will be very challenging but with a conventional layout style. The construction of the track base will consist of heavily compacted, processed gravel. The top asphalt coat will include a percentage of Recycled Asphalt Pavement (RAP) providing an extra level of stability. 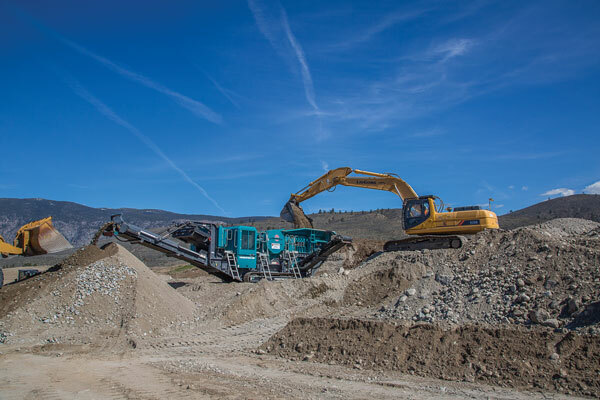 Track paving will be handled by Penticton-based Peters Bros. Construction who are expected to move a minimum 400 ton-per-hour highway asphalt plant on site. The hot mix will be Polymer Modified Asphalt (PMA), adding additional stability and heat resistant durability to the track surface. This will be laid down by three pavers operating in a close echelon formation to eliminate as many seams or joints as is practical. Phase one of the track construction includes the track, run-off areas, safety barriers, pit and paddock roads as well as parking and observation areas. Phase two and three will include administration buildings, a racing school, storage and garage facilities, housing and support facilities along with a planned go-cart track all of which will be forthcoming.